An original Aston Martin DB5. 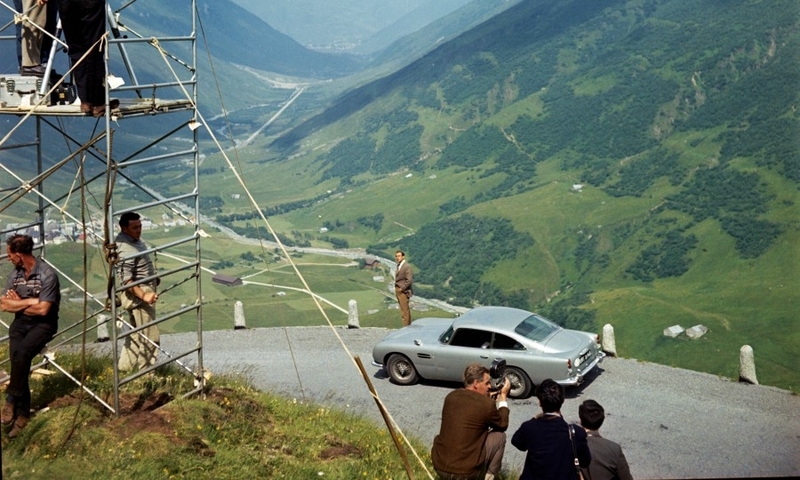 The DB5 is pictured during the filming of Goldfinger. The DB5 is shown during the filming of Thunderball. 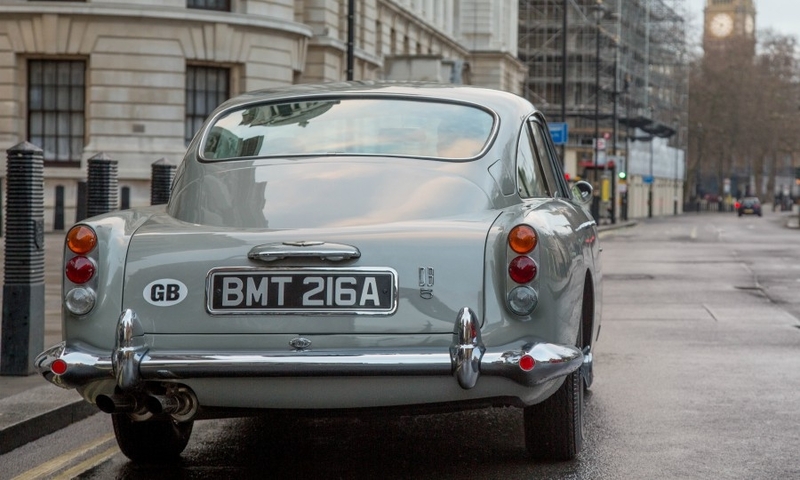 An original DB5 pictured in London. 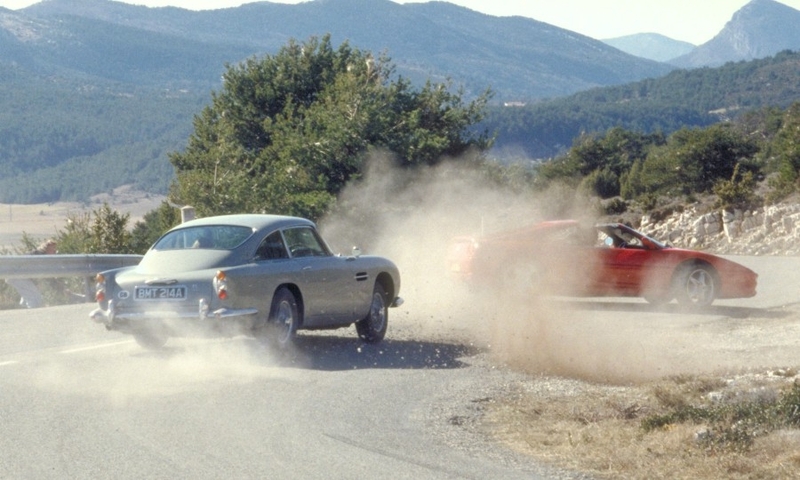 A DB5 races a Ferrari in the James Bond movie Goldeneye. 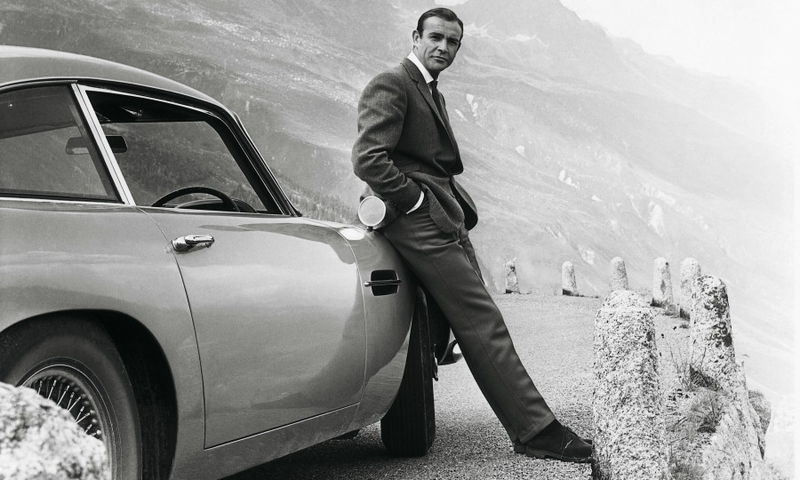 Actor Sean Connery is pictured with a DB5. Aston Martin is re-creating the legendary DB5, as driven by James Bond in the movie Goldfinger. A collectible for true 007 fans, the 25 limited-edition vehicles will each be priced at 2.75 million UK pounds ($3.5 million), plus taxes, and will feature enough working gadgets to make Q proud, the company said in a statement. 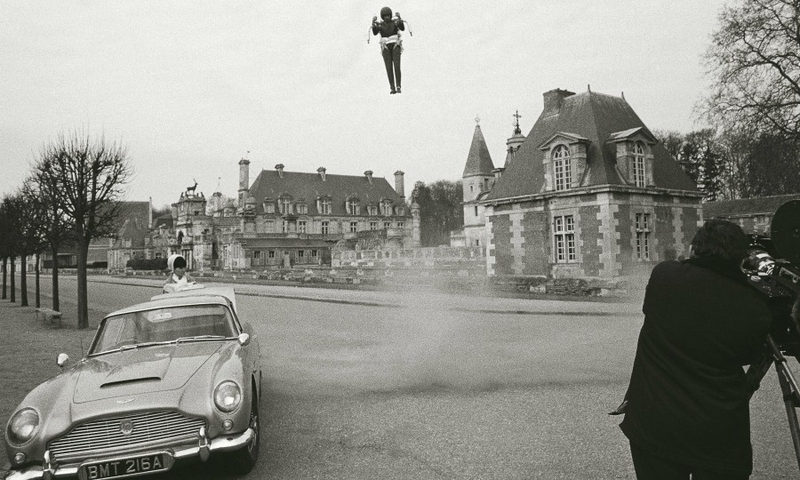 The espionage modifications will be co-developed by Academy Award-winner Chris Corbould, special effects supervisor on eight previous Bond films. So far, rotating number plates have been announced, with more to come. It's safe to predict that a working ejector seat is not on the blueprints. Based on the 1964 model used in Goldfinger and driven onscreen by actor Sean Connery, the cars are a collaboration between the marque and EON Productions, the company behind the Bond film franchise, and will be built at Aston Martin Works in Newport Pagnell, England. As "continuation editions," they will be manufactured and numbered as if new off the line in the '60s. The DB4 GT of the same era was re-created most recently in the same way. 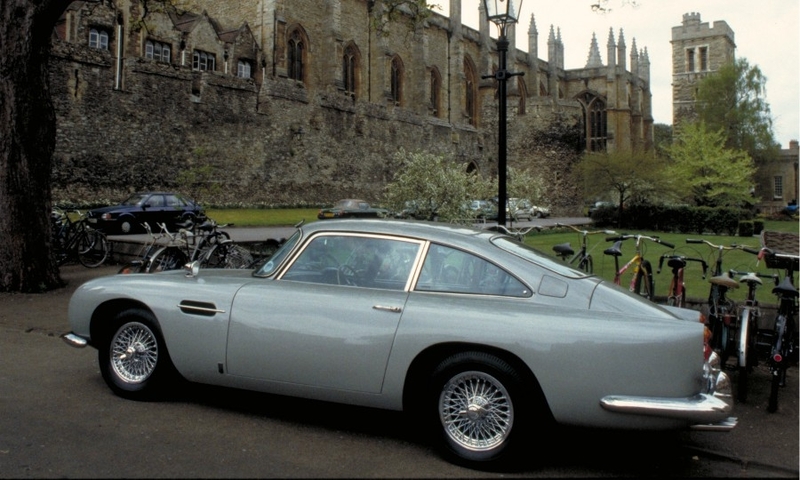 The DB5 has appeared in six James Bond films. 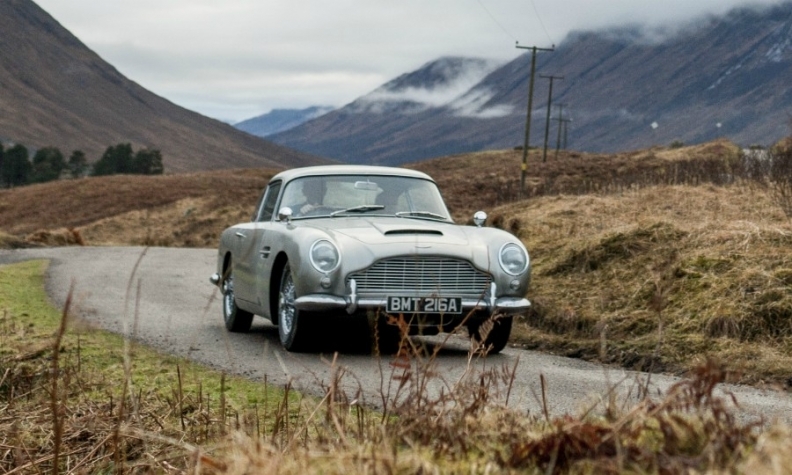 All 25 new DB5s will feature Silver Birch paint, just as Bond's movie original did. Mechanical specifications will be similar to the original, with "sympathetic modifications to ensure the highest levels of build quality and reliability," according to Aston Martin. First deliveries to customers will commence in 2020, but the cars will not be street legal. "To own an Aston Martin has long been an aspiration for James Bond fans, but to own a Silver Birch DB5, complete with gadgets and built to the highest standards in the very same factory as the original James Bond cars? Well, that is surely the ultimate collectors' fantasy," Aston Martin CEO Andy Palmer said in the statement. The original 1964 DB5 featured in Goldfinger and Thunderball—complete with guns protruding from tail lights, rotating plates, and a removable ejector roof—sold for $4.6 million at auction in London in 2010. A 1965 DB5 original that was featured in the 1995 Bond film GoldenEye sold at auction in July for $2.5 million, no gadgets included. The DB5 has featured in the franchise six times since its first outing in Goldfinger, including in Tomorrow Never Dies (1997), Casino Royale (2006), and Skyfall (2012). News of the special-edition re-creation comes as the automaker is said to weigh an initial public offering in London.